South Florida is a Must destination with beaches, restaurants, culture, and so much more. If you are filling out your South Florida bucket list, the following cities should definitely be considered. From fishing to lazy days on the beach, South Florida has tons to offer for the whole family. The Florida Keys, Miami, West Palm Beach, and other top destinations cover a range of fun and exciting activities and luxurious accommodations with jaw-dropping views. Are you ready to head south for the coming fall and winter seasons? Florida is waiting. Let’s take a look at the top cities that you need to visit along the way. The Florida Keys serves up a lot of fun in the sun and water activities for you and the family. 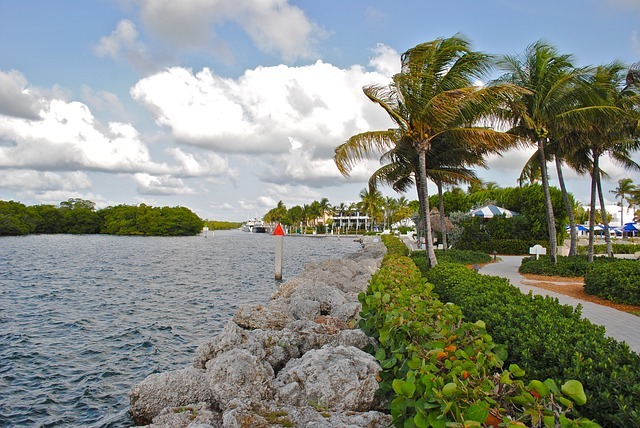 Besides the main Keys, like Marathon, Key Largo, Key West, and Sugarloaf, there are over 1,500 islands to explore. The Keys are also very laid back and perfect for relaxing. If adventure is on your South Florida bucket list, you can learn to scuba dive or partake in some amazing reef snorkeling, immersing yourself in the underwater world unique to the United States. Fort Lauderdale is just north of Miami and boasts brown sugar sand beaches, well-known historic eateries, and beachfront boardwalks. You can fly into Miami International Airport and drive north to explore, or fly into Fort Lauderdale airport to make the drive easier. Known as the “Venice of America” this unique part of South Florida has multiple canals you can take a water taxi to explore, or park and eat at one of the many canal-side restaurants. If luxury is on your list, you can visit Millionaires Row and do a bit of yacht sightseeing. Miami is a hot spot for beach goers from all over the world. In fact, many of the world’s most famous people visit or own homes in Miami. This makes this South Florida destination a must-see for anyone’s bucket list. There is definitely plenty of nightlife in Miami, but there are also many other activities and sightseeing tours to enjoy when the sun is up. Not to mention the long and unbelievably wide white sand beaches. You can even find a fantastic beachfront vacation rental in Miami to make your trip that much more special. From South Beach to the deliciously authentic Cuban food in Little Havana, there is no shortage of things to do, eat, and see in Miami. There are also great activities for the kids, like the Sea Aquarium and Zoo. Sanibel Island is one of South Florida’s best-kept secrets. It provides a small town experience with eco-friendly green attractions and accommodations amongst a natural setting and beautiful beach. You won’t be seeing many big box stores or strip malls on Sanibel Island either. This quaint little island emits a vibe that those who lived and visited South Florida decades ago experienced. Check out Ding Darling National Wildlife Refuge and Lovers Key State Park for even smaller town beach charm. West Palm Beach is well known for luxury, and should be on your South Florida bucket list. You can enjoy live shows at the Kravis Center for the Performing Arts, fine dining in many of the cities hot spots, and the Norton Museum of Art. It is laid back and luxurious. If nightlife is what you seek, check out the fun and sophisticated clubs and pubs along West Palm Beach Clematis Street. There is also plenty of nature exploration to be had, like Mounts Botanical Garden. Naples has some of the most jaw-dropping white sand beaches and clear turquoise water in the world. It is often shocking to visitors of Naples that these types of beautiful beaches exist in America. From the Atlantic Ocean side of South Florida, head west to Naples and explore the relaxed Gulf Coast vibe. From the beaches to the many restaurants, like Naples Beach Brewery, you can find something fun for everyone in the family in Naples. South Florida has a bit of everything, from beaches to cuisine. The above must-see bucket list destinations are only the tip of the beach umbrella, but some of the top destinations for anyone ready to visit this culturally rich, historic, and exciting part of Florida. Where is your favorite South Florida destination? We want to hear about it.